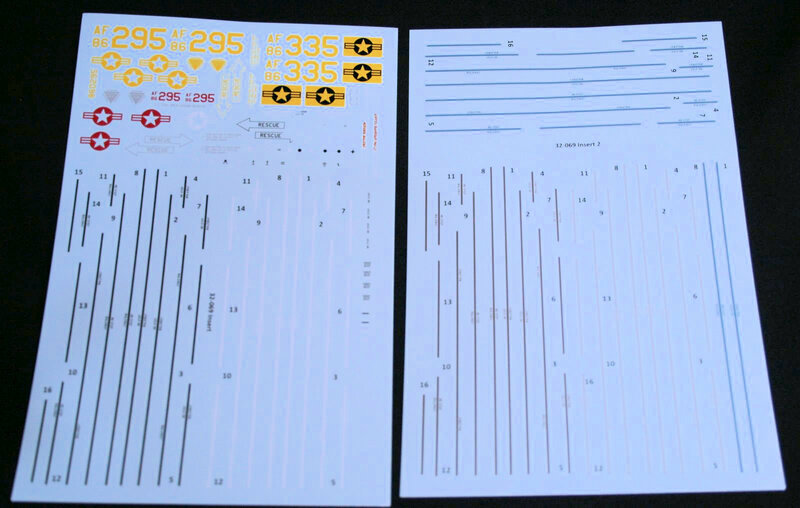 Two Bobs Aviation Graphics is one of leaders in aviation decals with an impressive variety in 1/32, 1/48 and 1/72 scale. 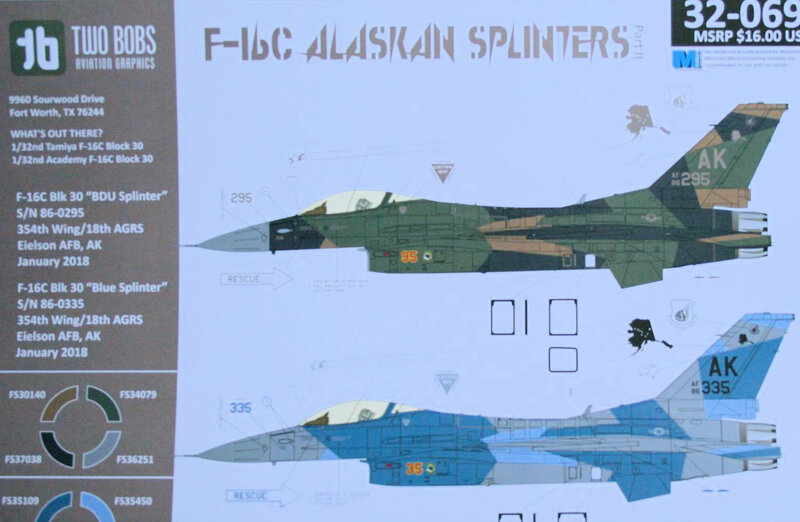 This latest release covers a highly desired subject of Alaskan aggressor aircraft. 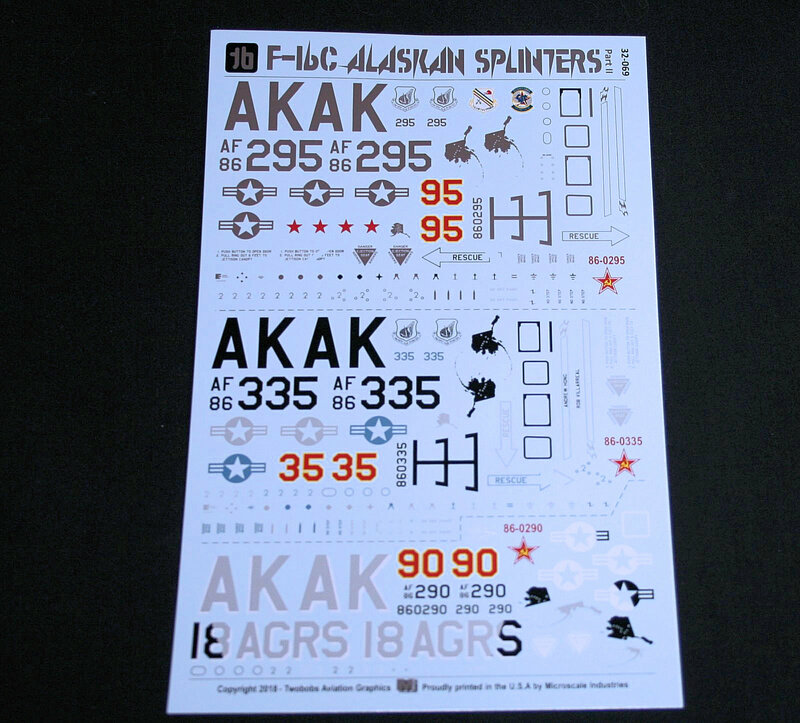 This Alaskan part II increases the variety of markings including the current colors which two are single color with one all black and the other all gray which was used for ferry flights to Eielson. The sheets are printed perfectly with the small markings are very fine and easy to read. All the markings are included from unit markings down to the stencils and walkways. There are three full (front and back) color instructions sheets that clearly show placement of markings for the six subjects. 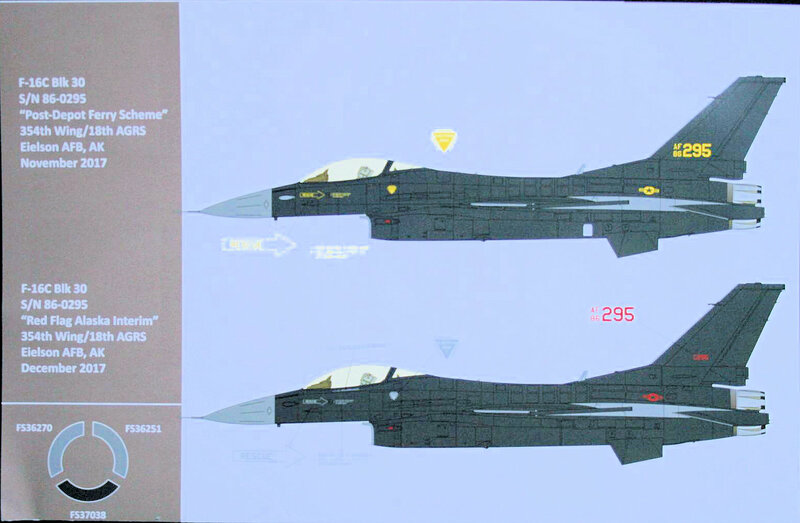 The instructions indicate the correct FS paint colors for each aircraft and easy to distinguish where each color is applied. 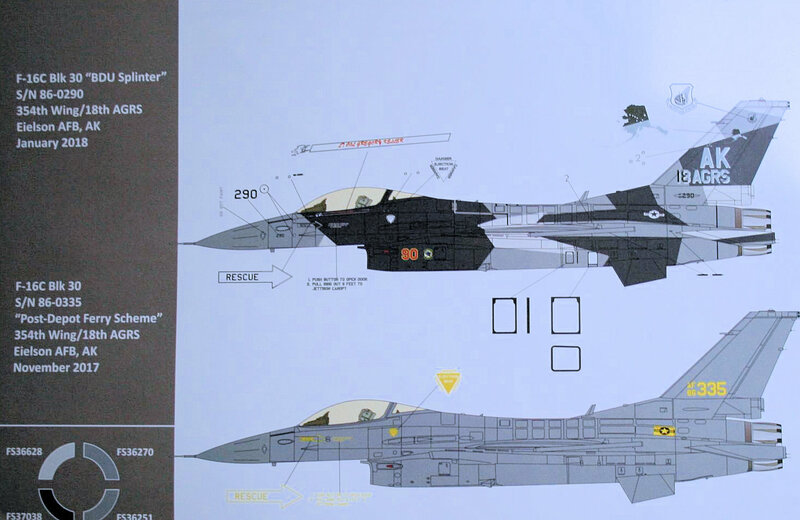 Note that the block 30 GE F110 powered aircraft initially were manufactured with the "small mouth" NSI intake but aircraft 86-0262 onward had the larger intake. All the aircraft markings in this set are for block 30 aircraft which have the large mouth intake. Recommended kits are Tamiya and Academy but I bet they will work on Hasegawa's offering.